Starting the first day of the new year not hung over was a first in over 20 years. Getting up at an early hour and painting while the rest of the family slept in was also rather novel. 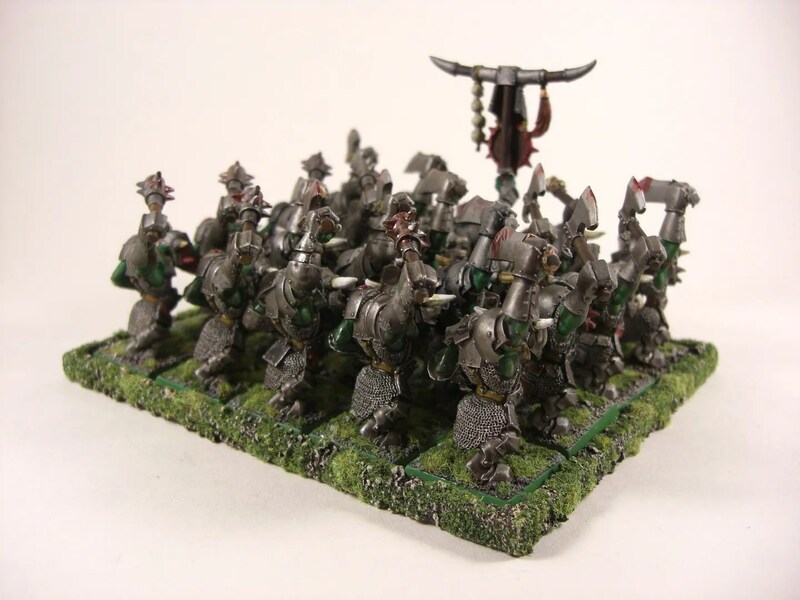 I’ve managed to paint the last 5 old metal Black Orcs I had to make a unit of 20. 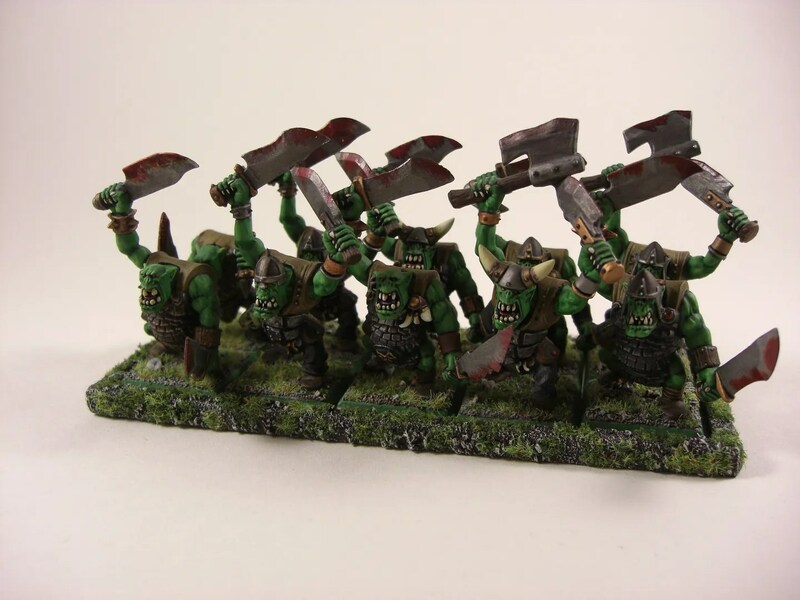 These will count as my Orc Morax regiment in Kings of War. 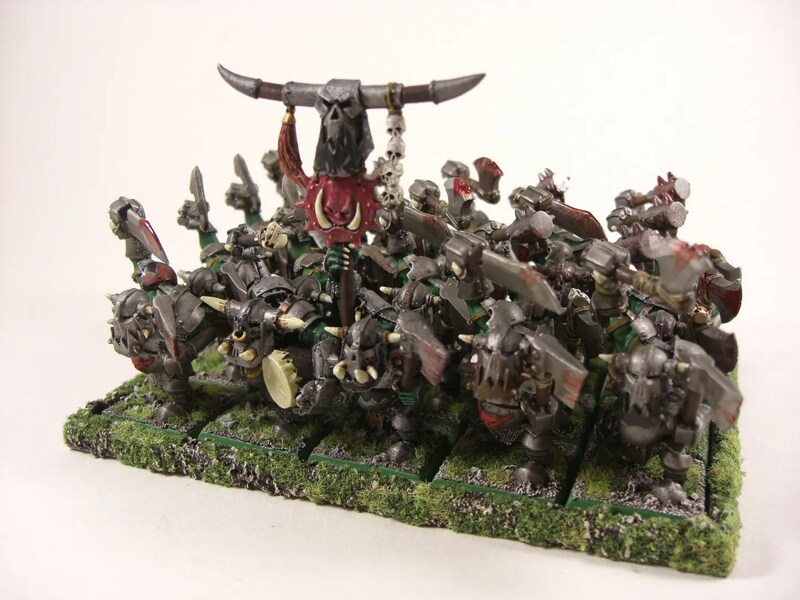 I’ve also made a few spare magnetic movement trays and put 10 old GW plastic mono-pose orcs that were painted together that can count as an Orc Ax troop. Not a great deal of painting I suppose, but it feels like I’ve gained 2 more complete units for the Orc army. Bases are awesome, as are the models. Hard to show talent with such old moulds.